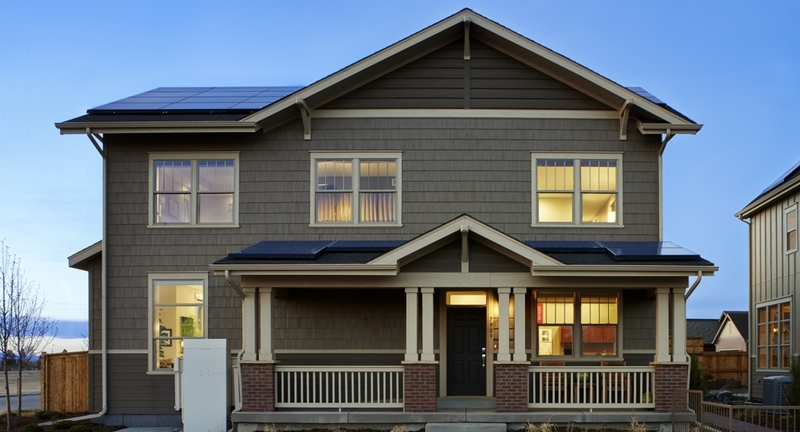 New Town Builders of Denver builds all of its single-family homes to the performance criteria of the U.S. Department of Energy’s Zero Energy Ready Home program. 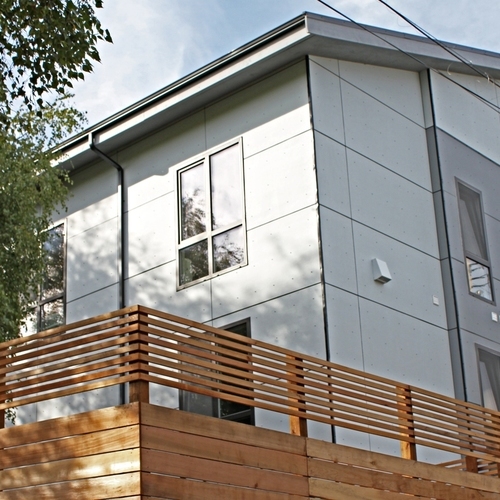 A Denver-area developer, New Town Builders, is aiming to make all of its new homes zero-energy-ready by the end of 2013. “Our goal is to be 100% U.S. Department of Energy (DOE) Zero Energy Ready certified on all of our single-family homes,” said Bill Rectanus, vice president of New Town Builders, which plans to build 150 single-family homes in the Denver metro area in 2013. All of the homes come with a roof-mounted photovoltaic (PV) system rated at 2.75 kW or more. In Phase 2, New Town’s goal is to install 5-kW systems. 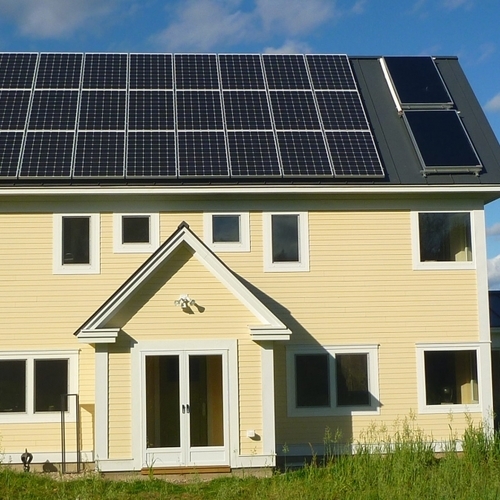 Home buyers will have the option to add more PV to achieve a true net-zero-energy home — that is, a home that produces as much power as it uses in a year. In New Town’s Z.E.N. (Zero Energy Now) community, which has 30 homes at or near completion and 33 more homes planned, all of the homes are true zero-energy homes. New Town is in the planning stages on two additional projects: Hyland Village, a development of 75 single-family detached homes, and Perrin’s Row, a development of 26 attached homes. Both communities will be 100% DOE Zero Energy Ready. To be certified as a DOE Zero Energy Ready Home, a builder must meet the requirements of Energy Star Homes Version 3.0, the U.S. Environmental Protection Agency’s Indoor airPLUS and WaterSense programs, and the insulation requirements of the 2012 International Energy Conservation Code. 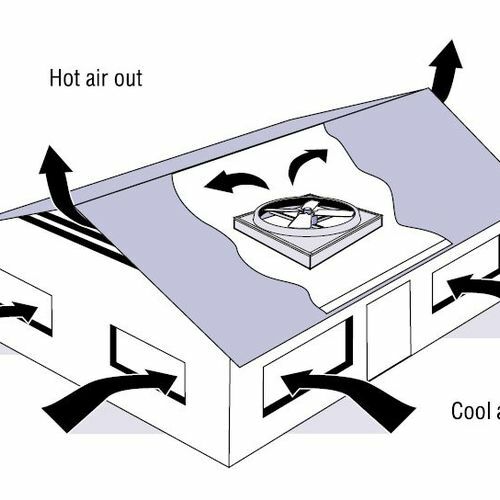 In addition, DOE Zero Energy Ready certified homes must locate all ducts in the conditioned space, meet higher window criteria, and have renewable energy equipment or “renewable-ready” measures installed that ensure that the home is ready for a PV system and a solar thermal system when the homeowner is ready to purchase them. One of New Town’s models, the ArtiZEN, provides a good example of how the builder achieves the DOE Zero Energy Ready Home certification. The home is built with double-stud walls consisting of two 2×4 framed walls separated by a 2 1/2 inch gap. 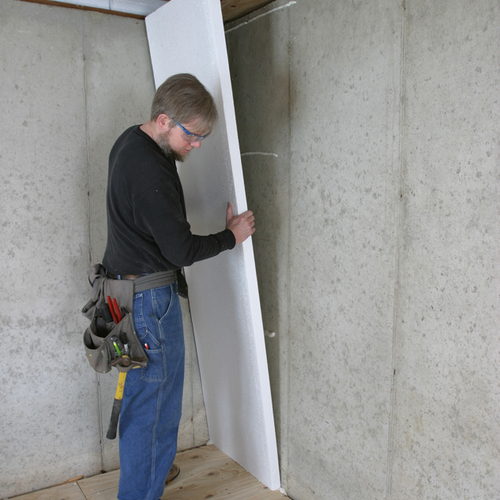 After the exterior wall is sheathed with OSB, netting is stapled to the inside edge of the inner wall studs, creating a 9.5-inch-deep wall cavity that is filled with blown-in fiberglass insulation. Because the insulation runs as a continuous layer through the wall, thermal bridging is limited. Advanced framing techniques were employed on both walls to reduce the amount of lumber used and to leave more room for insulation. These techniques included using single rather than double top and bottom plates, 2-stud rather than 3-stud corners, 24-inch-on-center rather than 16-inch-on-center stud spacing, insulated rather than solid wood headers over windows, and ladder blocking at interior-exterior wall intersections. The attic is constructed with 14-inch-high raised heel “energy trusses” to ensure plenty of space for insulation at the eaves, just above the outer walls. 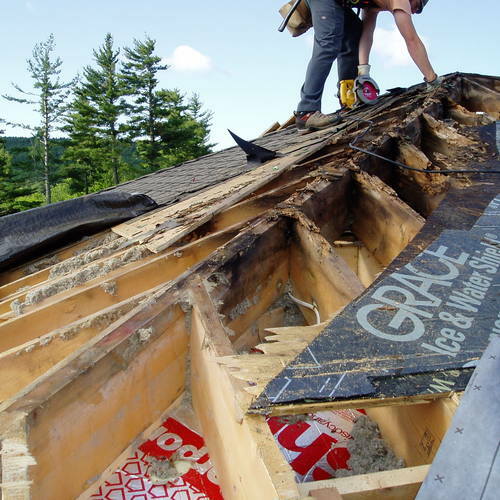 A full R-50 of blown-in fiberglass insulation blankets the floor of the vented attic. The basement walls are insulated on the interior to R-19. New Town paid extra attention to air sealing measures. 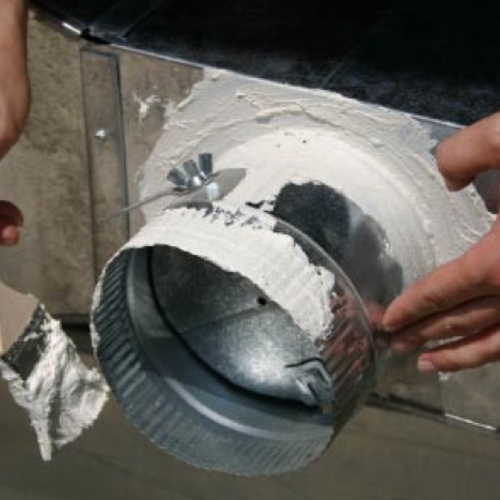 Spray foam was used to seal around windows, behind outlets, at bottom plates, and at any holes for wiring or plumbing. Workers also applied a bead of pliable sealant product along the top plates of all walls bordering the attic and the garage before installing drywall. This nonhardening sealant spreads out when the drywall is screwed in place, forming an airtight gasket. On the second floor, any exhaust fans, can lights, etc., that might typically be installed in the ceiling were installed in dropped soffits below the ceiling drywall instead so that the ceiling drywall, which serves as the primary air barrier separating the house from the attic, could be kept intact and hole-free. Blower door testing of the home showed air leakage of 2.11 air changes per hour at 50 Pascals pressure difference (ACH 50) between the inside and outside — making the homes tighter than many new homes, but not tight enough to meet the Passivhaus standard. All of the home’s windows are double-pane, vinyl framed, with low-emissivity coatings to reduce heat transfer. The windows are rated at U-0.25 and have a solar heat gain coefficient (SHGC) of 0.27. Generous roof overhangs minimize summer solar heat gain. A tankless water heater with an energy efficiency factor of 0.947 provides domestic hot water. The home has a “smart” recirculating system that learns the occupants’ behavior and initiates the pump at times of high use throughout the day. A drip irrigation system minimizes water use outside. All of the home’s lighting uses energy-efficient compact fluorescent lamps and all of the appliances are Energy Star rated. 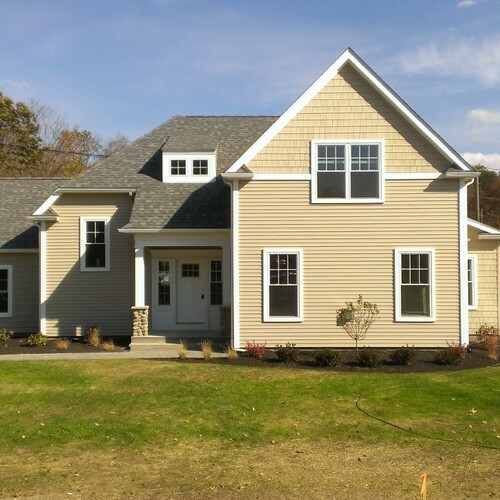 The 2,115 square foot, three-bedroom, 2.5-bath, two-story home achieves a Home Energy Rating System (HERS) score of 38 without counting the PV array and would save its homeowners about $493 in energy bills compared to a home built to the 2009 IECC. When 8.0 kW of PV panels are added to the roof, the home achieves a HERS score of -3 and saves its homeowners a whopping $1,902. For comparison, a home built to the 2009 IEEC code would score about a HERS 85. The home also meets all of the healthy indoor air requirements of the EPA’s Indoor airPLUS program, including moisture-management measures, ventilation requirements, and low- or no-VOC criteria. The home is a poster child for the green slogan “recycle, reuse, reduce,” starting with its location in the Stapleton area of Denver. Once home of the old Denver International Airport, the 6,500-acre site has been recycled into a planned community of schools, shopping, and over 8,000 homes. Developers have crushed over 6 million tons of runway concrete to reuse as roadways, bridges, and bike paths. The eight home builders at Stapleton have committed to meeting at least ENERGY STAR 3.0 certification, which means their homes will reduce energy use at least 30% compared to a typical new home in Denver. New Town’s homes will reduce energy use by 85% compared to typical homes. New Town Builders has gone further, committing to framing all of its homes with Colorado beetle-kill lumber, which is wood harvested from trees that have been killed by beetles, leaving a blue fungus that stains the wood. “It’s actually a great framing material because it’s been dried in the Colorado sun before going to a local mill for cutting, so it stays very straight and true after installation,” said Rectanus. New Town Builders works closely with all its trade partners to negotiate fair prices with partners while keeping home costs competitive for homebuyers. To help its subcontractors, New Town provides detailed scopes of work and project specifications. Energy-efficiency details are included on each plan set and New Town is committed to providing continued training to its staff and trade partners. Every home also receives two third-party inspections — from the energy rater and from an additional construction quality assurance company. 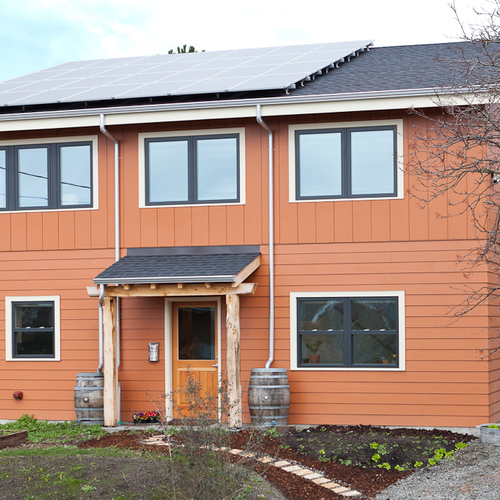 “Building to DOE’s Zero Energy Ready Home certification drives us to pay attention to the details that enable us to provide a more durable, high-quality home. Moving forward, New Town is positioning itself as the area’s leading zero energy home builder. “100% compliance with the DOE Zero Energy Ready Home program helps us to achieve that consistency across all of our projects and product types. We appreciate the third-party validation that comes from partnering with DOE,” said Rectanus. 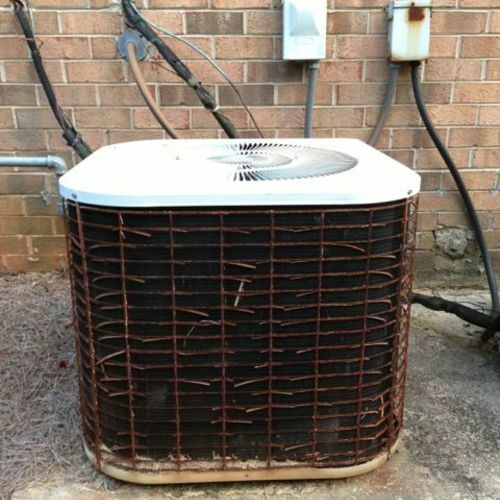 Space heat and cooling: Air-source heat pump, 12.7 HSPF, 19.8 SEER, with forced-air ductwork for distribution; 97.3 AFUE gas furnace for backup. NET ZERO is NOT ZERO.